We left early to take advantage of the tide which has an impact as far north as Troy (just above Albany). It was cold so I tried to start the generator to get some heat, but its 5 year old battery was dead and will not hold a charge. When we got to Troy the dock master drove me to NAPA and I was able to get a new battery. We bought 60 gallons of diesel (enough to finish this leg) at $2.19 per gallon and headed through the Troy lock for Waterford. We arrived at Waterford at 2:00PM. 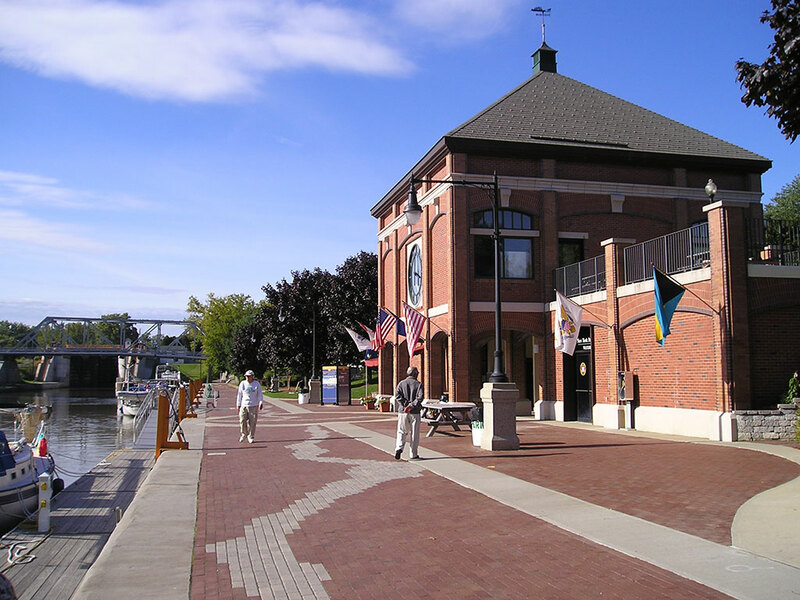 Waterford is the entrance to the Erie Canal which is now a major tourist attraction in New York state. What a great place. (see photo of the visitors center.) Floating docks, electricity, great company with two other Grand Banks, and a party on the dock at 5:30PM. Best of all, the price is free for two days and then $10 per day thereafter. The town dates back to the American Revolution. Downtown is just a couple of blocks away and has a great breakfast restaurant ($1.55 for 2 eggs with toast). It seems that Ivan and Francis caused so much rain that the Erie is now closed at Lock 8 because of high water and trash. We may be here for a couple of days. We will check in the morning.